Abstract: FOSJOAS electric self-balancing scooter V3 represents a simple lifestyle, interpreting the new city life in a brand new fashion. Under the eco-friendly notion, V3 is ergonomically designed and manufactured, which implies the pursuit of the rosy life. Different individual has different attitude towards life. 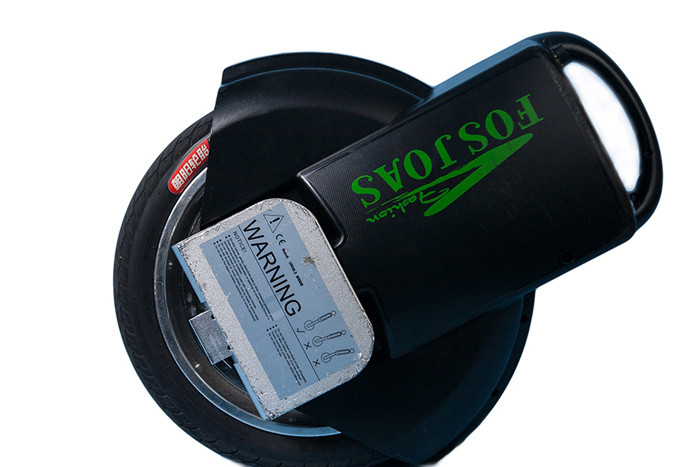 Designers of FOSJOAS electric unicycle V3 worship the simple lifestyle. They hold on to this notion and carefully craft FOSJOAS V3. With the fast tempo of modern life, we all hurry to commute every day. As a result, there is little daily communication between our friends and us. It is much needed for us to settle down and experience the fine life. We are supposed to seek for fun from life and enjoy our life. Riding the FOSJOAS electric self-balancing scooter V3, you could whizz through the city and have a care look at the city we live every day. Mount on FOSJOAS V3 and weave your way in the city. FOSJOAS V3 makes your journey, even if long-distance, no longer tedious and fatiguing. With no regard for the traffic jam, what we need is to settle ourselves down and admire. Life is supposed to be simple. Simplification of life is regarded as an enjoyment and a respect for life. Work is of moment to be sure, but then life means a good deal to us. Get hold of FOSJOAS intelligent self-balancing scooter V3 and start a new lifestyle. FOSJOAS V3 is fitted with Sony lithium battery core which holds a range of 20 km on a single charge. The lithium battery mounted on V3 can be recharged 1800 times and have a 2.9 times longer life than these common battery. It is non-explosive and non-combustible. It is quite a safe transport beyond doubt. FOSJOAS electric scooter V3 shows not only an unswerving pursuit of simple lifestyle, but also a strong support of green cause. V3 dispenses with the fossil fuel and employ a greener electricity. The green world is an inevitable trend in the near future. Based on the traditional notion, FOSJOAS V3 integrates modern elements into it in pursuit of a new lifestyle. FOSJOAS pay a maniacal attention to details and carefully craft the understated elegance to the utmost of its power.